Christmas is all about memories and festive occasions, so this Christmas my table will be set with versatile easy-to use tableware including a few beautiful items from Serena & Lily. 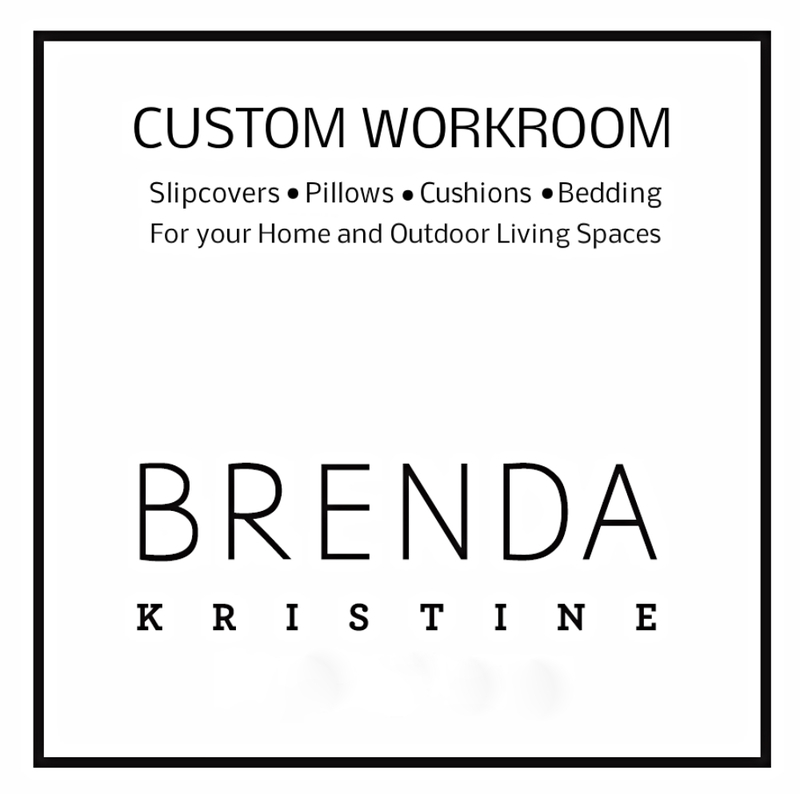 I love to simplify certain aspects of Christmas preparation, so finding an easy way to set an elegant table is at the top of my list for easing the hustle and bustle of the holidays. 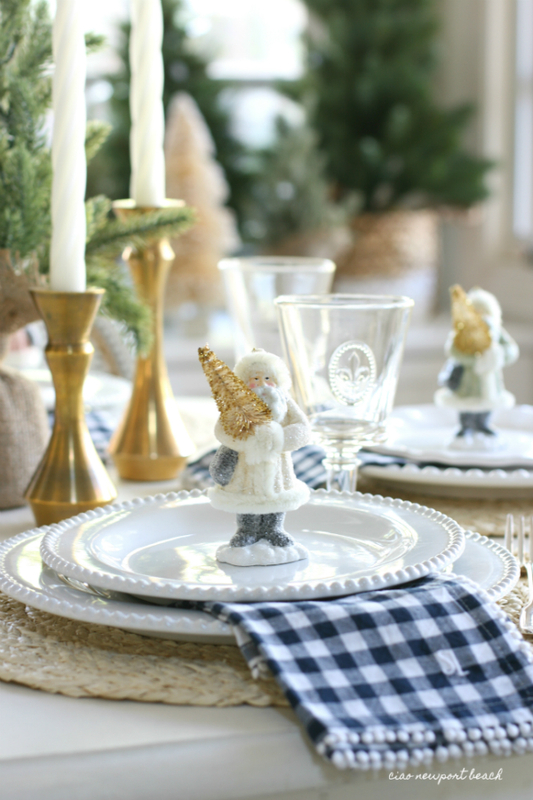 In addition to the classic details of the white plates, gingham napkins and placemats, it’s important to add a whimsical touch or two, so this year a cute little Santa makes an appearance at each place setting. 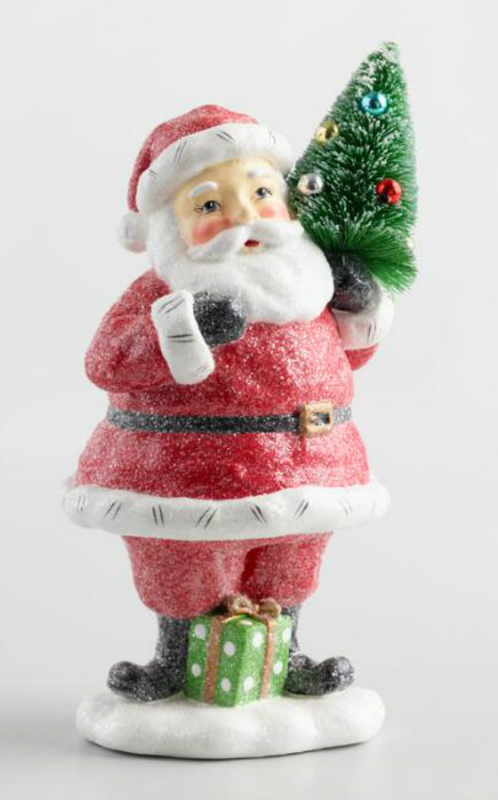 Old-fashioned Santas holding a sweet little tinsel bottlebrush tree are the perfect addition and will put a smile on everyone’s face. 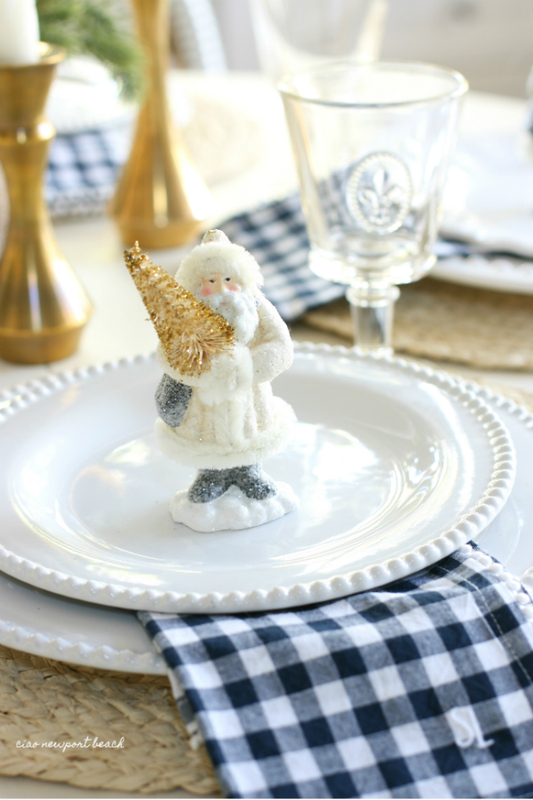 I found these Santa ornaments early in the season and new they’d look perfect on my Christmas tablescape! This larger Santa is pretty cute too! 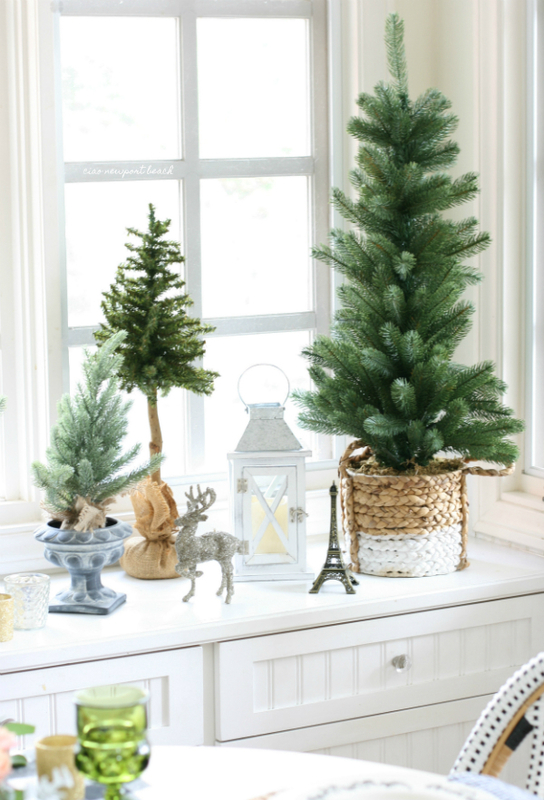 This year I’m into just surrounding myself with a mini forest of evergreen trees. 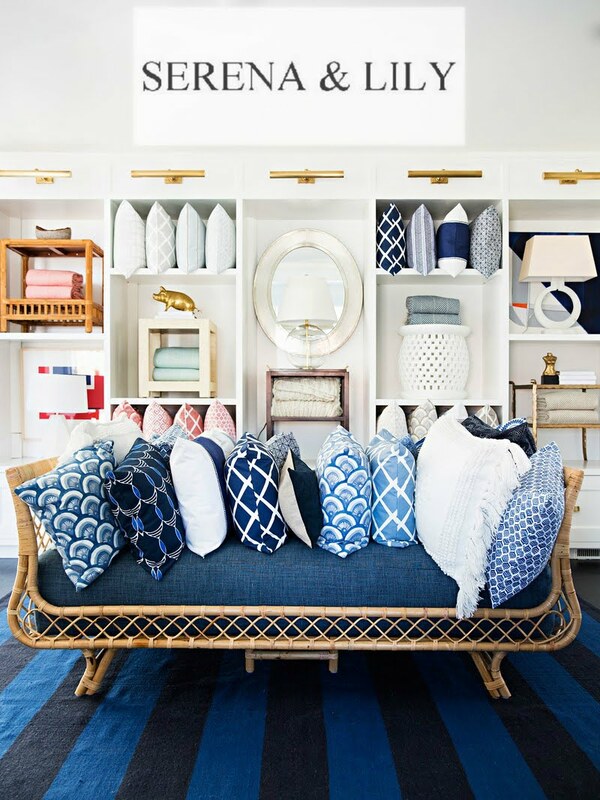 Some are real, and some are faux, but they all co-mingle happily together! Cottages and Bungalows magazine is offering adorable free holiday printables on their website. 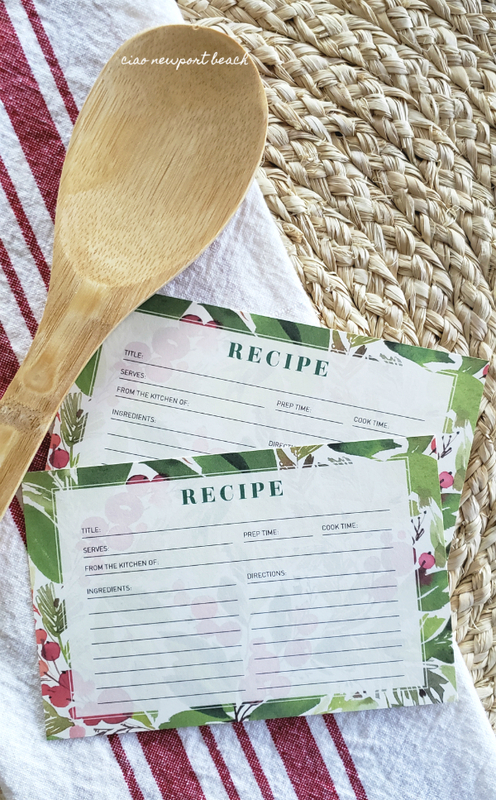 All you have to do is sign up for their 12 Days of Cottage Christmas emails and you’ll receive complimentary recipe cards, gift tags, place cards and design ideas! 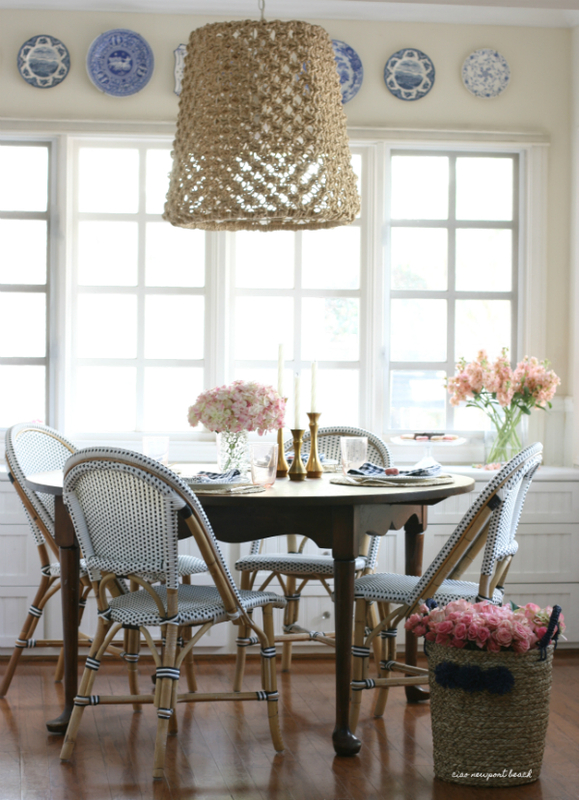 Later in the week I’m sharing one of my favorite local décor shops, Blue Springs Home. 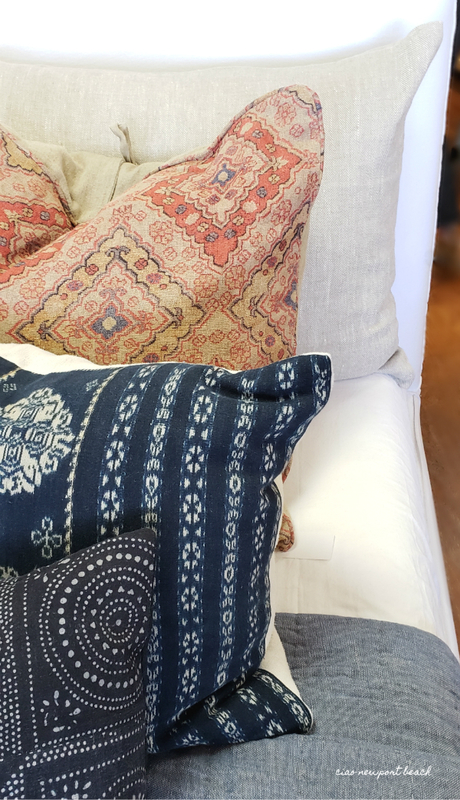 This little bedding vignette is one of my favorites! 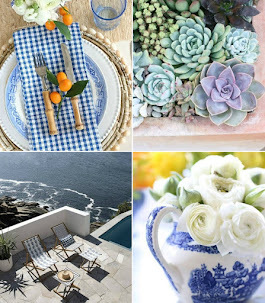 Disclaimer: I received some of these Serena & Lily tabletop items for free and all opinions are truly my own.